What’s not to like about cherries, chocolate & almonds? 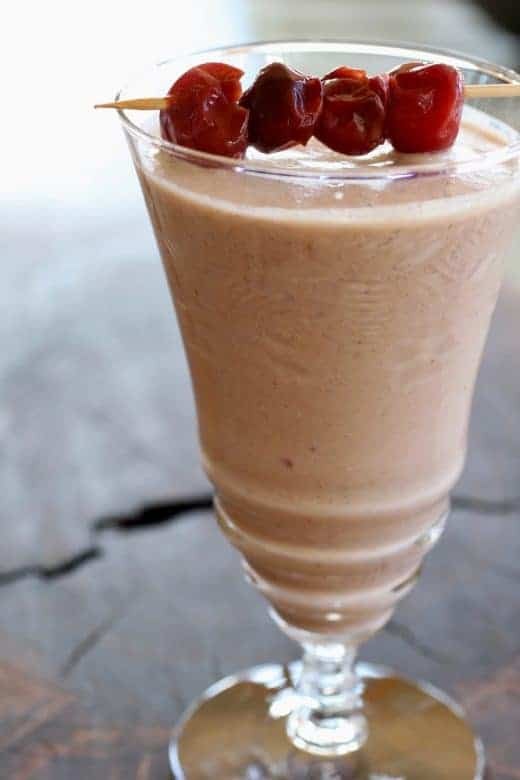 A super smoothie recipe, Cherry Amaranth Almond Smoothie gives more phytochemicals than you can count + a healthy dose of fiber and protein. What’s old is new again and ancient grains are POPULAR! 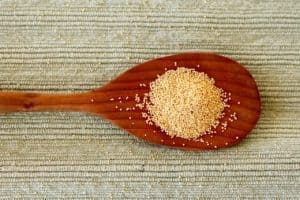 Botanically, amaranth is a seed, not a true cereal, but has so many nutritional similarities that it is considered a grain. Historically, amaranth was a native crop in Peru. As an ancient grain, maybe the health benefits are what helped the Incas run up and down and around the Andes. The protein alone makes it a superior grain (triple that of wheat), but it’s also high in fiber, iron plus it’s gluten free. Hello, new favorite! Combine amaranth and water, bring to boil, cover, reduce heat and simmer 20 minutes. The consistency is similar to a pudding…thick. The grain is delightfully chewy with a bit of crunch. If you don’t like mushy oatmeal, give amaranth a try. But then, I might have to change the name of the smoothie. Well, what’s not to like about cherry, chocolate and almonds? Truly, this is a LiveBest recipe that delivers on taste and, oh, so many health benefits from phytochemicals! This recipe uses ingredients you may likely have one hand. OK, maybe not amaranth, but haven’t you been curious to try it? If not, use oatmeal. Cherries not only taste great, they help our heart, blood pressure and brains. Cocoa’s flavanols contribute positive antioxidant effects and may benefit blood pressure. Chocolate for breakfast? Yes, please! Cinnamon brings warm spiciness to the drink. Spices in general deliver health benefits, so I like to include them whenever I can. 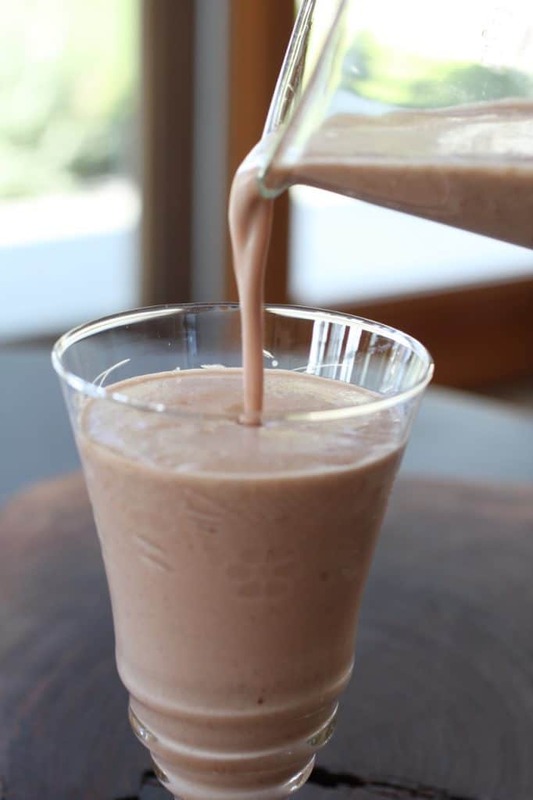 Yogurt gives this smoothie body, but also does a body good due to protein and calcium. 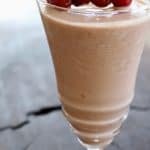 Almond butter in this recipe is kind of like peas and carrots… almonds and cherries just work well together. But then there’s also the healthy fats and protein. So in one breakfast, you get more phytochemicals than you can count and a healthy dose of fiber and protein. I LOVE real food! I want my smoothies to deliver fiber. Amaranth provides 5 grams per cup. 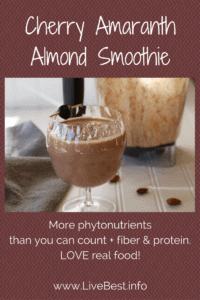 Here I used raw amaranth in my smoothie. My Vitamix blender pulverized the crunchy amaranth. Of course you can use cooked amaranth or substitute oatmeal (cooked or raw), or cooked spelt. Well, what’s not to like about cherry, chocolate and almonds? 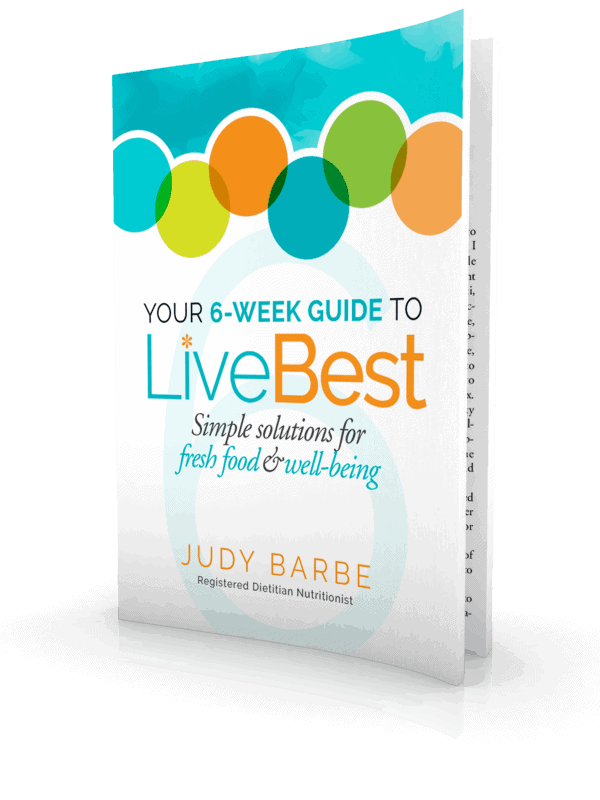 Truly, this is a LiveBest recipe that delivers on taste and, oh, so many health benefits. 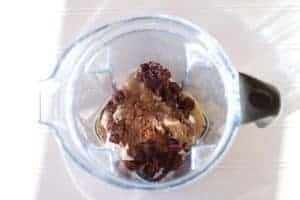 Combine ingredients in blender. Blend until smooth.